Microphones convert acoustic vibrations or acoustic energy into electrical energy for the purpose of amplification or recording. These acoustic vibrations vary largely based on characteristics such as waveform, phase characteristics, frequency response, dynamic range and attack time, to name just a few. Different microphones use different techniques to reproduce above mentioned characteristics. Therefore, for quality forensic audio analysis and forensic audio enhancement, a good knowledge of the different microphones used today is essential. This post will discuss and classify microphones based on pickup patterns and directional response characteristics. Critical forensic information regarding the direction of a sound wave recording can be analyzed based on pick up patterns of microphones. This information will also help you the user to take informed decisions while purchasing microphones. In a microphone, acoustic energy is converted from air pressure into a small electron flow. 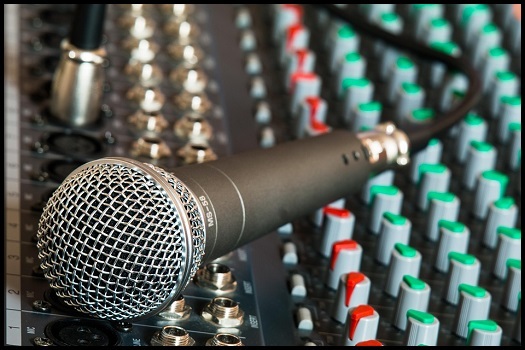 An audio forensic expert should understand the basic mechanism, features and specifications of all the different microphones used today when conducting a proper forensic audio analysis. Diaphragm: It is a lightweight moving surface that gets excited by the acoustical waves. The sound wave causes the diaphragm to vibrate in sympathy, which as a result outputs a corresponding mechanical signal. Transducer: A transducer converts the mechanical signals generated by the Diaphragm into electrical signals. Casing: It helps control the directional response of microphone. It also provides mechanical support and protection to the diaphragm and transducer. In omnidirectional microphones, diaphragms are exposed to acoustic waves at the front side of the microphone, although the pickup is equal in all directions. This category of microphone is also called spherical microphones. Unlike unidirectional microphones, omnidirectional microphones are capable of achieving very flat, smooth frequency response, eliminating phase cancellations. Also the pickup sensitivity of signals coming in from rear or sides will be the same as the front. This helps in picking room characteristics or conversations around a table, but can have a negative effect in noisy environments. For recording higher frequencies, omnidirectional microphones should have a smaller diameter. If at certain frequencies the diameter of the diaphragm is one-tenth of the diameter of the wavelength, the response will start to diverge. The field patterns of bidirectional microphone form a figure 8 like pattern and picks acoustic waves from both the front and back equally well. In bidirectional microphones, background noise in a reverberant field will be approximately 67% lower than omnidirectional microphones. They are commonly used to pick two conversations happening on opposite sides of a table. The pickup distance will be 1.7 times greater in a direct field than that of omnidirectional microphones. The pickup cone angle of a perfect bidirectional microphone, is 120 degrees off the rear and 120 degrees off the front for a frequency of 6dB. This angle is directly proportional to the frequency and will become narrower with increased frequency. Unidirectional microphones have a pickup pattern that is heart shaped and are thus also called cardioid microphones. They pick up sounds coming from front of the microphone with greater sensitivity. The average ratio between front and back of the microphone is 20:30 dB. For mid frequencies this ratio will change to 15:30 dB and for extreme frequencies it can be as little as 5:10 dB. This phase inversion is the result of additional distance a wave has to travel to reach the back of the diaphragm. They are the most commonly used microphones as they discriminate between signals and random unwanted noise. Single-Entry Cardioid Microphones: In single-entry cardioids microphones, the rear entrance port is located at one distance, usually within 1.5 inches from the diaphragm. Eg. Electro-Voice DS35, Shure SM81, etc. Three-Entry Cardioid Microphones: Sennheiser MD441 is a three-entry cardioid microphone. Its rear entry is about 2.8 inches from center of Diaphragm, mid frequency entry is 2.2 inches and high frequency entry is about 1.5 inches from the center of diaphragm. Multiple-Entry Cardioid Microphones: Multiple-Entry Cardioid Microphones have many rear entrance ports. 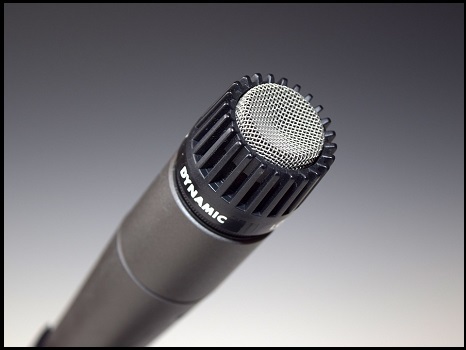 Electro-Voice RE20 Continuously Variable-D microphone is an example of this type of cardioid microphone. Two-Way Cardioid Microphones: In two-way cardioid microphones, response range is divided in between high frequency and low frequency transducers. It produces more linear frequency response at sides and allows constant discrimination at the rear of microphone. NCAVF provides expert forensic audio analysis and audio enhancement services. If you want a consultation with our audio forensic expert or require audio forensic services, then please contact us at 213-973-7811.